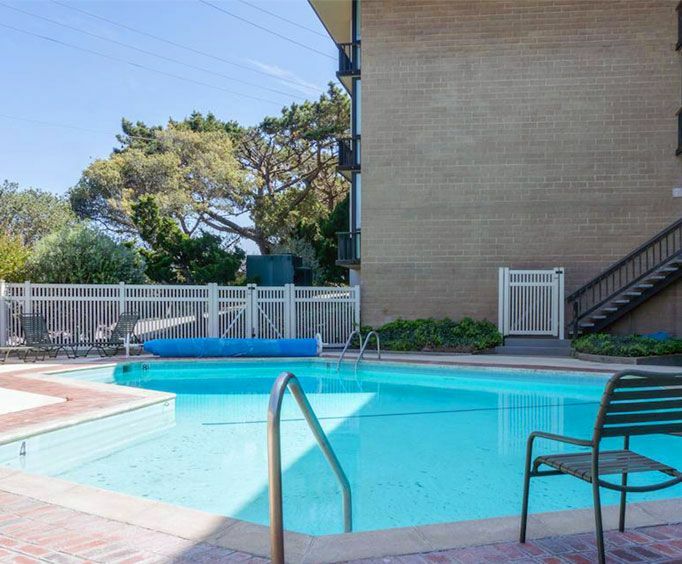 Located close to Highway One this jewel in the hotels of Monterey and Carmel offers the luxury of a beach hotel with the seclusion of being hidden in the forest between Carmel Bay and Monterey. Bay Park Hotel is nestled in the trees on Carmel Hill and allows beautiful sunrise and sunset Ocean and forest views that are unmatched because of its prime location overlooking both cities, the hotel brings together the charm of Carmel and the history of Monterey in a luxury hotel experience in California not to be missed. Comfort is the main thought in the design of our hotel and the services we offer, at the Bay Park Hotel we aim to be the perfect base for each and every activity our guests undertake from our beautiful hotel. From the heated outdoor swimming pool to the chance to relax and unwind with a drink and complimentary hors d'oeurves at our own Safari Club the chance to enjoy the best Californian vacation is never far away at the Bay Park Hotel. 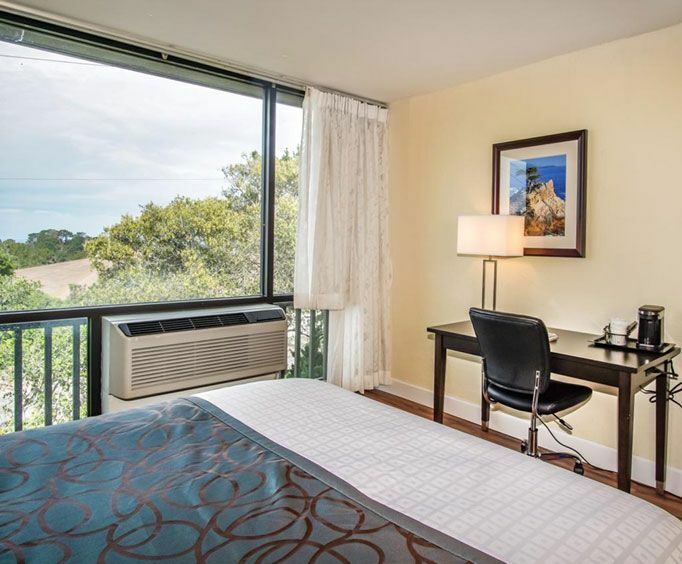 Surrounding our hotel are a large number of activities, from historic buildings and sites in Old Monterey to golf courses littering both Monterey and Carmel our friendly, courteous staff can point guests in the direction of their favorite activity. 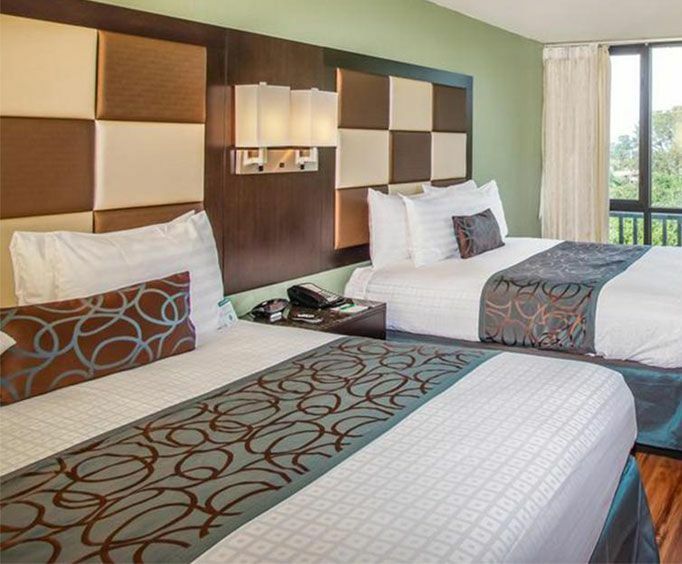 A full business center ensures our business guests stay ahead of the game with their work and projects, while a 32" TV and complimentary high speed Internet make each stay simple with a coffee maker available in each room.